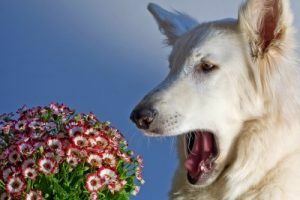 Although harmless in and of itself, a reverse sneeze can be rather alarming for dog owners to see and can be indicative of a more serious problem. 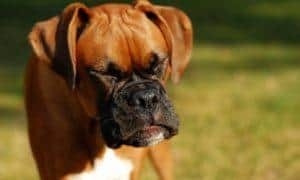 Reverse sneezing, also known as Pharyngeal Gag Reflex or Paroxysmal Respiration, is a relatively widespread respiratory condition in dogs that is normally triggered off by a spasm in the pooch’s soft palate as well as laryngeal area. 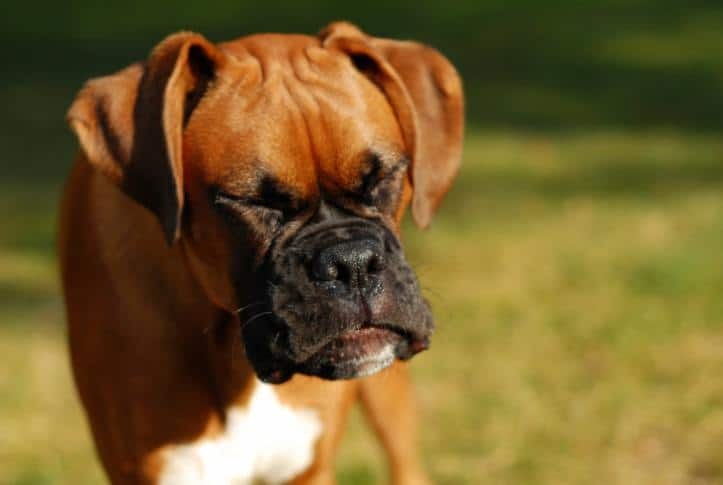 It is often referred to as “reverse sneeze” because during the event, the dog is gasping air heavily inward, instead of simply expelling it, like in a typical sneeze. What Happens During a Reverse Sneeze? · Usually, dogs extend their neck as they gasp with loud and strong grunting sound. They are likely to turn their elbows out and their eyes may even stick out during the occurrence. · Since the trachea becomes narrow, it’s even harder for dogs to get a sufficient amount of air into their lungs. As a result, their chest might expand as they try to inhale. 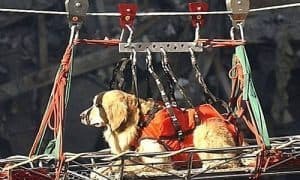 · During the episode, most owners would think their pooch is suffocating, choking, or even suffering from a seizure. · Each occurrence of reverse sneezing only lasts for just a couple of minutes or less. The episode normally ends on its own without posing any threat to your dog’s health. Fortunately, dogs appear normal both before and right after the event, without after effects. Dogs don’t lose their consciousness, and this phenomenon is often harmless, and rarely requires medical treatment. Reverse sneezing can be set off by a wide variety of irritants and some forms of dog allergies. Pollen, dust, mites, viruses, post-nasal drip, nasal inflammation, perfumes, and household cleaners or chemicals are some of the known triggering factors. Other causes include exercise intolerance, rapid drinking or eating, pulling on leashes, and even excitement. It’s also very likely that sinusitis and other kinds of respiratory problems can lead to episodes of reverse sneezing. Although any dog breed can experience this fairly common respiratory condition, it is more widespread in smaller pooches. Short-faced dogs like Boxers, Boston Terriers, Bulldogs, Pugs, and Shih Tzus are found to be more at risk of reverse sneezing. It has been suspected that a genetic factor is involved with such kind of breeds. · Antihistamines. If allergies have been discovered to be the main cause of the problem, antihistamine medications can be administered. Your vet may prescribe drugs if mites are found in the dog’s laryngeal area. · Massage. Another way to treat reverse sneezing is through massage. To help stop the spams, just rub Fido’s throat gently. · Others. You can also try to cover your pooch’s nostrils to help him swallow; clearing out whatever trigger is setting off the episode. In addition, if the occurrence doesn’t windup quickly, try depressing Fido’s tongue to open his mouth and help air to move through his nasal passages. If episodes of reverse sneezing become more frequent or severe, or are accompanied by other symptoms, it’s important to have your vet examine your dog’s throat and nasal passages. Whenever possible, try to record a video of your dog during a reverse sneezing episode to show to your veterinarian. This will help him/her determine if the event is truly a “reverse sneeze” or if it is something that needs attention. The video below shows what a dog’s reverse sneezing episode looks like and how to quickly stop it by covering your dog’s nostrils. While reverse sneezing is harmless in and of itself, it will probably be scary for your dog. Comfort and soothe him during the event and remain calm, knowing that it will soon be over. My dogs ears drain with wax he’s always shaking his head and rubbing his eats on the floor and trying to get wax out of his ears shy? 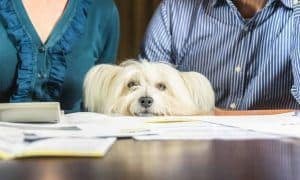 There are several reasons why your dog could be shaking his head and rubbing his ears on the floor… an ear infection, ear mites, or very dirty ears that are bothering him. Make sure you clean them with a dog-safe ear cleaner regularly and if he persists with shaking and rubbing, get to a vet! Thanks for pointing out how vets can prescribe the right antihistamines to dogs with allergies. Our old dog recently started heaving and sneezing non-stop. He really had my daughter worried and stressed out, so I’ll be sure to bring him to the vet for his medications as soon as I get home. I have Boxer, he is only 21/2 years of age, the past few days he has had these R/S.EPISODES,that have really scared me, he has them before but only 4 a minute or better, then he’s over,for 3 days he’s having them 3 times a day, and he has allergies I give him prescribed med called Abequel spelling may be off? I think he’s got an minor sinus infection, I’m on a fixed income, since I’ve injury job related, but I this month I have not been able to purchase his meds, until my med leave, so he’s been without his allergy mrd,plus I’ve noticed him shaking his head scratching ears, sounds like mites, all this I feel has got him very weak frm lack of sleep, plus he’s not eating as well, or drinking water which I’ve encouraged him so he has now, but I’ve used straight benedryl, aka otc Allergy meds to try and dry up his nasal drip, and it’s helped very little. Today I’m taking him to BANFIELD VET. THE GIVE A FREE EXAMINE AND CONSULTATION, I’VE NEVER BEEN IN A SITUATION WHERE MONEY WAS THIS TIGHT, his regular Verizon spoke to me by phone, because I’ve spent nearly a thousand Dollars with this office in Mobile, Al, called REHM ANIMAL CLINIC, HE’S G I T AN ENLARGED HEART, THE EKG, AND NO ANSWER THEY TOLD ME TO WAIT 6 MONTHS TO ONE YEAR BEFORE FINAL TEST, HE HAS THESE COUGHS AND HACKING, NOTHING RELATED TO R/S, SO YOU WOULD THINK THAT A ONGOING TESTING OF YOUR DOG,AND THE MONEY THEY RECIEVE FROM ME FOR MEDS, ETC, THEY HAVE MISSED DIAGNOSED HIM WITH CARDO-MIOPOTHY,WHICH HIS A DEATH SENTENCED CAME BACK 3 DAYS LATER AND SAID HE DIDN’T HAVE THIS, DID NOT EVEN REFUNDED ME ON ABOUT 3 BOTTLES OF STEROIDS,AND OTHER PILLS, THAT NO LONGER WERE NEEDED ONLY 3 DAYS HE TOOK THEM. ANYHOW THEY COULD HAVE TOLD ME BRING HIM IN AN THE NEW Dr. Said he sounds as if he’s got an infection with sinuses. When this happens to my dog I put a little peanut butter on my finger and have her lick it off. The swallowing motion stops her from backward sneezing. This WORKS EVERYTIME. It can be a really scary thing to watch your dog go through, I’m glad I found a trick that works. If your dog has trouble with this, try it out and I hope it helps! I also have a Yorkie/Terrier that does this when excited or drinking too fast. This information was very helpful. Thank you. Thank you! I’ve had two yorkie a and both have done this. Always scared me to death, now I know how to help! Both my dogs, Beagle & Labrador, suffered from that on (luckily few) occasions. I intuitively covered their nostrils, assuming this was some kind of hyperventilation. After some investigating the web, I found out this had toe be “teverse sneezing”. Never knew this covering their nostrils would actually be te right way to stop it. I just talk soothingly to my dogs when they do this. both are chihuahuas. I find that if I touch their throats they get worse. Try massaging horizontally instead of vertically. Also before I saw this video I simultaneously massaged her nasal cavity and sinuses and she sfopped. Will try this technique when she starts up again. A little water splashed onto their lower lip or mouth and presto! No more sneezing. thank you for this info. will try this on our shih tzu. her reverse sneezing episodes really scare me 🙁 thought she choked on something. I have two female German Shepherds. One dog reverse sneezes if she eats too quickly. When this happens the other (the dominant one) barks and attempts to bite the “sneezer”. I don’t understand this. What is happening here? Thanks in advance for your thoughts! Both my boys reverse sneeze.. a shihtzu and a beagle x. My female poodle does not. If this is not a critical issue… I have now lost 3 pups to this. 2 just before 5 years of age and just Friday my little guy 11 months. If you say this is not to worried about and just do basic rubs and care, if like to say that your wrong. selamat siang kami dari http://serbaparfum.com menyediakan jual parfum dengan kualitas terbaik dan harga terjangkau. Kami sangat menyarankan berbelanja di tempat kami karena kami memberikan garansi bahwa produk yang kami jual adalah parfum original. jangan sampai tertipu oleh harga murah ya teman. or vice-versa? My site discusses a lot of the same subjects as yours and I believe we could greatly benefit from each other. It’s always slightly disturbing when my dogs reverse sneeze. However, my dog Leela gets extremely worried when I sneeze. I guess it goes both ways, lol. We always thought she was hyperventalating. We just rub her neck and open her mouth. Usually only lasts a minute. Thanks. Now we know. My chia-mix had an episode the other night. scared the heck out of me. I automatically gave her Benadryl and gently rubbed her throat. I suspected allergies. I took her to vet and he told me he suspected reverse sneezing. I was told to give her Benadryl twice a day. He said the dosage I gave her was not enough. He recommended 25m twice a day. She weighs 18lbs. I also give her over the counter pills and give it to her in a greenie pill thing which she takes with no problem. She seems a lot better! Who knew!! I massage both sides of my dogs nose and it calms her down and stops it right away. Hope this helps. Yes, I will try that as my Bichon has done that for years. It is very upsetting. Thanks. I massage my dogs nose during an episode and it calms her right down & it stops. Hopefully this will help you. Interesting. Only in the last decade have i seen this. I’ve also read that the rabies vaccine can cause this when done to often, on sick dogs, and/our in conjunction with other vaccines. I’ve had a few dogs that do this. I can’t remember who told me what to do, but I put my hand over their snout and tip their nose downward. I think it is supposed to move their epiglottis away from their tongue (opens up the throat). So, instead of having their neck extended, which seems to be a more natural position, I bring their muzzle down toward their neck. I don’t block their breathing or anything, just change the neck angle a little. To see what I mean, look up at the ceiling, you’ll feel your throat close off. Now, look slightly down toward the floor, below horizontal. It works for my pups. I alwYs wondered what they were doing- all my dogs have done this, who knew allergies were to blame. I always thought they were going to vomit. My shih tzu has been doing this for years. I still cannot get used to it. I have to leave the room so my anxiety doesn’t make things worse for him. I will try covering his nostrils next time and see if it helps. During an episode, more often than not, he vomits bile. Does this happen to anyone else’s dogs who is experiencing this? And should I still cover his nostrils or will that making the vomiting episode worse for him? Our vet told us to blow into my dogs nose. It works. Sorry… thats horrible advice from a vet. Would you want someone blowing in your nose during a sneezing fit? Best bet is to softly rub the dogs neck- have done this for years. 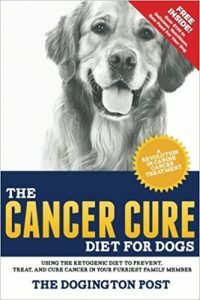 YES to stop the insanity of the reverse sneezing thats scaring the heck out of me or my owner…I think a suffering dog would be much grateful….would you go for chemo if you had cancer or shoot yourself with insulin if you had diabetes…..no brainer…. Highly doubtful any vet would say to do that. Always trolls around to give unwarranted, stupid suggestions! My dog always ha reverse sneezing fits. I never knew what it was! Now, I cover her nose and open her mouth so she can breathe through her mouth and she is fine. This sounds like the genetic ‘tracheal collapse’ in most Poms. My Pom does it a lot. Is it the same thing? My Yorkie does this a lot and it’s always scary. I have been messaging his throat when it happens, but it sometimes seems like that doesn’t help very fast. I’m gonna try pinching his nostrils next time he does it. Good information, thanks for the tip. Cheryl, I had read your comment before and now apply your technique of rubbing my pups throat whenever she does this. It really helps, so I wanted to say thanks. the first time this happened to my dog i almost freaked out. a simple antihistemene was all it took thanks for the great article ! The most important thing is to remain calm. I also found that rubbing the throat also helps. I first helped my mom’s dog (Pekingese) many years ago. It can be quite upsetting to have our pets do something like this and not know what it is or what to do. Great article. WHY?? I never remember dogs doing this. And I’ve had dogs all my life. Why, is this an issue now? Scares the beJesus out of me. From big Pits to teacup chis…. what’s going on? Mary, this isn’t new at all, and not all dogs suffer from it. In all the dogs I’ve owned over my 55 years, I’ve only had one that did it with any regularity, and maybe three that did it at all. It is entirely possible that you could live a lifetime and not have a dog that suffers from it. It really isn’t something to worry about unless your dog is severely affected! This is so messed up! It is only in the last few years I heard, let alone experienced this in my dogs. WHY? I hate when my dogs do this! although, lifting their front paws, and massaging their chests seems to stop it, it freaks me out! My yorkie does this a lot. Usually triggered by excitement. I always hold my hand over her nose and she stops. I never knew there was an actual name for this! Thanks for the info! My yorkshire terrier has done it since puppyhood. The vet told me to gently hold his snout, covering his nostrils. It helps the episode end quickly. It did scare us both, at first. I was afraid my little one was having asthma attacks until someone told me it was a reverse sneeze. I have a Pom who has had this all his life. He sounds like a honking goose. I feel so bad for him. He is on meds to help with is airway, but it scares me everytime he does it. He looks so pityful with his mouth pulled back. I rub his throat too and it helps. He take Theophylline once a day but his makes him very agggressive. he was on twice a day, but they lowered his dosage because of the aggression. Not aggressive with me, but the other dogs I have. He has a murmer too which scares me. it is very upsetting when your dog has this and really scares you when you hear it the first few times. Drinking water too fast makes him do it too. this one one of the first symptoms I noticed my young dog had before she was diagnosed with Cryptoccocis Gatti. I usually massage the throat as my pug is not big on anyone messing with his nose, as little as it is. Thanks a lot. My 3lb MorkyPoo (Maltese, Yorkey Poodle) reverse sneezes all the time. I was covering her nose when it happened but my husband thought I was smothering her. Guess momma knows best after all. But really, I appreciate all the tips and info this site has to offer. Keep up the good work :)! My Chi does something like this and is sounds like a reverse snore. She is fine when it stops. She looks so unhappy when that happens. If I am close by I just pet her lightly until she stops. Her name is Maggie and so I think I will try this Maggie’s solution. Our 3 year old greyhound does this, sometimes waking himself up from a sound sleep! It was very disturbing to us until we talked to our vet about it. If I stroke his throat gently, he’ll usually stop. My vet suggested that I use liquid Benadryl for babies if my Olde Boston Bulldogge does this “more often thatn usual”. I’ve found that this treatment works very well and I only give him about 3 ml at a time. 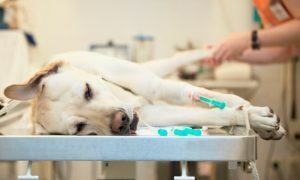 If you give your dog ANY liquid medications be sure to check the other ingredients carefully. 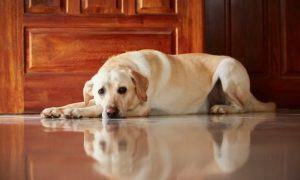 Some liquid medications for humans contain xylitol, which is toxic to dogs. The part about the dog, “does not lose consciousness”, is incorrect in some dogs case. My mini Doxie, if it is a long bout of reverse sneezing, ends up without getting enough oxygen that she stiffens up and then keels over. This is because she doesn’t get enough oxygen to her brain and this is how a body reacts to that. Humans too. Cover her snout for 2 secs and it will make it stop…trust me mine did it her whole life. That’s a great lil tidbit of knowledge. I always wondered what the heck was wrong when my Pittie does this. 🙂 Thanks! I never knew what it was and it worried me, especially with my previous dog who had it regularly.